Sai Devotee Haripriya from India says: Dear Madam, My name is Haripriya. I am from Chennai. I wanted to share my Mahaparayan experience with you all. In the month of May I got a dream in which Baba's Face appeared on my house wall and near His face, appeared the words as Satsung Seva. That time I knew nothing about it. Then one day I read about Mahaparayan and read all the leelas. I wanted to join this but I didn't know whom to approach. Then in the month of August I saw the post which you shared with the website for registration for Mahaparayan. I registered myself and I was waiting for your call. Then I saw one of the admin’s posted on the blog to join Mahaparayan in her Whatsapp group. I asked her and gave my details on September 1 which was my birthday. I was asking Baba to give me a surprise on my birthday. Here He gave. Sai Devotee Pushpa Bajaj from UAE says: Om Sairam to all devotees. I am Pushpa from UAE. I had several miracles after I started MahaParayan. But I would like to share the recent miracle with Baba. However recently I had a beautiful miracle which I wanted to share with all the devotees of Baba. I'm very thankful to Baba for making me join the MahaParayan. I have a real estate in UAE, which I am operating from 2006 onwards there were many up and downs in real estate market but as everyone knows this time the market is extremely bad. As the market is bad so there are no buyer and tenants due to this I was in lot of tension how the market will improve. On Monday 20th of November, 2017 early morning I was doing Kakad aarti which I routinely do it. While I was doing aarti I was praying to Baba regarding my business. Suddenly I had heard Baba talking to me from His murthi saying why you have not taken me to your office. Take me there and I shall remove all your worries. I was surprised and tears rolled down my eyes. 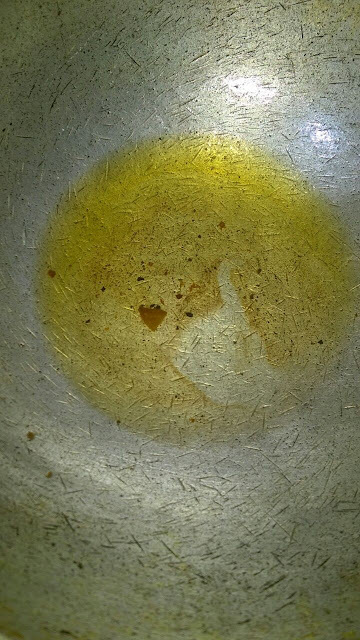 I took the murthi picture in my mobile (have attached the picture) and Prayed to Baba saying You are always with me. Sai Devotee Ragini Priya says: Om Sai Ram. I feel so blessed that Baba chose me for this journey. I had applied very late and was scared that probably I would be left out. But Baba's grace is unfathomable. He wanted me to walk with Him. I am really thankful and grateful to Baba for including me. When Anuradha Mam called me to ask whether I would like to be a part of this Global Journey, I was so thrilled and on top of the world. It was hard to believe. I instantieously said Yes! However I am sorry for I could not volunteer myself for anything else. The miracle which happened to me was also unbelievable. It happened so that my friend had asked me once to come to Shirdi for Baba's Darshan. I had grabbed the offer at once without giving it a second thought. When I said yes, I paused for a second and started having doubt. I am sorry Baba. I have gone out several times with him but I don't know why this happened? 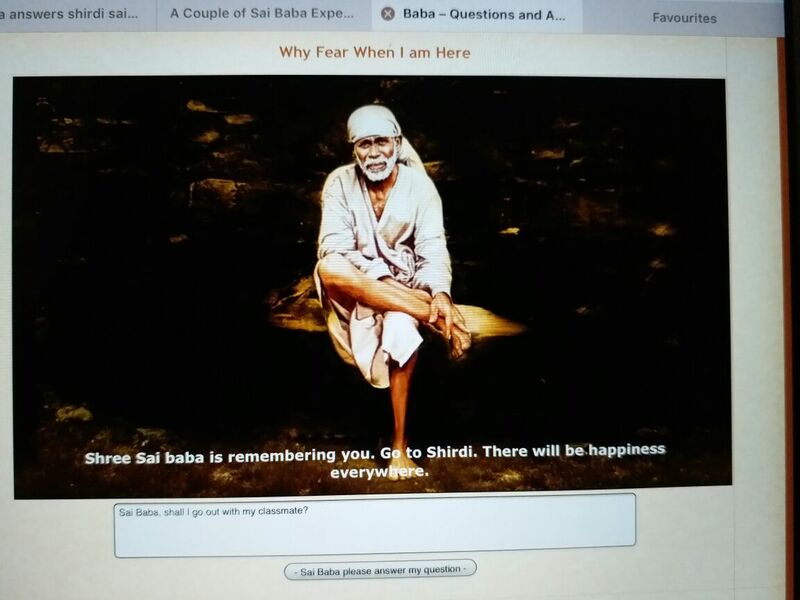 So I asked Sai Baba Questions & Answers Site whether I should go with him or not without mentioning about Shirdi plan. And see the miracle of Sai Baba. He answered "Go To Shirdi. Baba is remembering you". (Attaching The Screenshot). I was so happy for Baba's green signal. Thank You so much. Sai Devotee Sree Tadepalli from Australia says: Om Sai Ram Pooja ji and all the devotees. This is Sree here from Perth Australia. I had several miracles of Baba since childhood. I will definitely post in the blog. However recently I had a beautiful miracle with Baba which I wanted to share with you. Since I've joined MP 108 and 365 day parayan I am thankful to Baba for giving that sankalpam to me to do the parayan. In the mean time I always offer a flower to Baba everyday. Though I have white roses plant in my backyard, I always wanted to have a red rose plant but couldn’t get it till now. all. I just wanted to share my recent experience of what Baba has done to me. It was really an amazing miracle and don't have words to express it. Actually my life is full of Baba's miracles and even now I feel that Baba is showing me the path to pray Him unconditionally through Mahaparayan. Now coming to my experience, as usual I love to offer flowers to Baba while doing pooja. I love roses and have a white rose plant in my back yard and I always wished to have a red rose plant but could not get it till now. 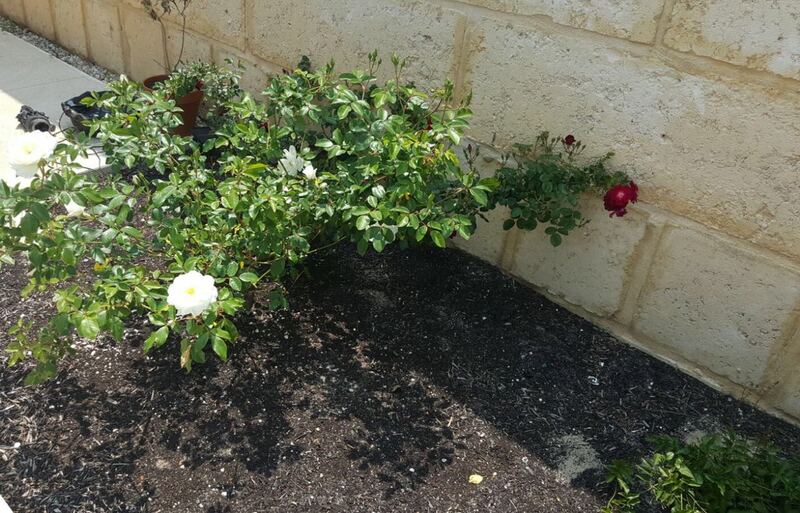 So the other day I saw my white rose plant was growing big and was happy seeing it grow. One day I was just pruning the white rose bush and thrown all the stem cuts of white rose plant there itself on the ground. Later I noticed that whatever the stem cuts I had thrown on the ground of the white rose bush had started growing on its own around the white rose plant. I felt happy and kept watering it. However still I was having the wish of buying a red rose plant and kept on insisting my husband to get me a red rose plant. Since things did not work out and we were postponing it all time. Sai Devotee Divya From India Says: Dear Hetalji, I would like to share one big miracle happened to me, which is linked to your miracle website also, and it is also regarding Mahaparayan the divine initiative started by Pooja ji. I live in Bangalore I have a Shirdi Sai Baba whatsapp group. 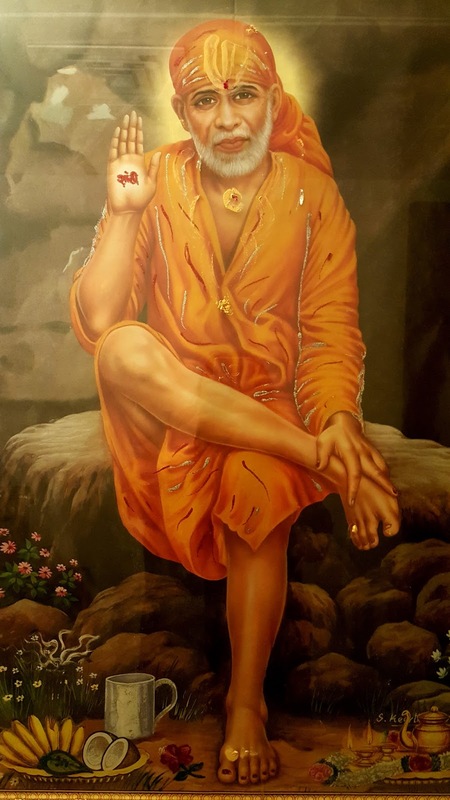 Everyday I go through your website and post one devotee experience in my Shirdi Sai Baba group, which I like the most in those 5-6 experiences you post. I had been seeing this Mahaparayan pictures since long time in your website, but I had never gone through that link. Few days back i.e August 19th 2017 morning when I woke up I was thinking why all my experiences which I posted in April haven't yet got posted in your blog. I said Baba, Baba I wanted to post some more but if at least one( one experience which I had sent) gets posted I would get some motivation. By evening I was shocked to see 4 emails from Hetal ji saying your so and so experience posted on so and so date would be posted on so and so date. I was very happy and my joy knew no bounds not only because my experiences were getting posted but Baba listened to my prayers and I posted few more experiences after that which I wanted to share.